There are hundreds of credible university studies showing the benefits of ketones and living a ketogenic lifestyle. The problem, however, is getting into and sustaining a ketogenic state. It takes a lot of discipline and can even be a painful process. This is where Real Ketones stepped in. We developed a product that puts ketones directly into your body. Rob Rogers and Gary Millet, the founders of Real Ketones, believe in the power of ketones to help people. They licensed the D’Agostino ketone technology from the University of South Florida, in the hopes they could develop a product that made getting into, and sustaining a ketogenic state, simple and easy. After 4 years of work, Real Ketones was released. And now, its third-generation product, PrimeD+, makes the transition to (60 minutes), and sustainment of a ketogenic lifestyle simple, painless and most of all, EASY. 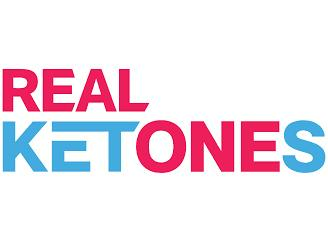 Real Ketones PrimeD+ is the most powerful exogenous ketone supplement in the market. This Real Ketones supplement integrates BHB Quad Salts with special Medium Chain Triglycerides (MCT’s) and other proprietary ingredients and manufacturing methods. The benefits of being in a ketogenic state are numerous, and more are being discovered every day. Our mission at Real Ketones, and the passion of Rob and Gary, is not just helping you get into ketosis. It is helping you sustain a ketogenic state in the easiest way possible to improve your health.